Adobe Photoshop CC is a photo, image, and design editing software built for professional designers, photographers, and artists. 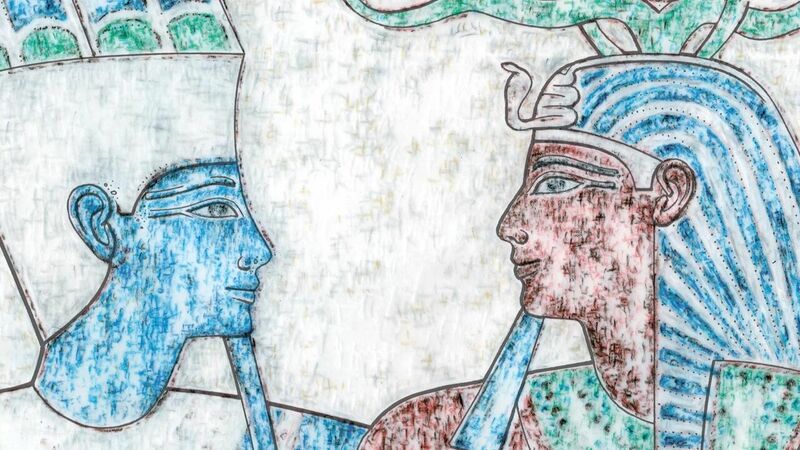 It is part of the Adobe Creative Cloud service, and is the main software used by the Epigraphic Survey for their digital studio work. Adobe Photoshop CC, with its advanced brush and texture tool sets, lets us create and enhance paintings as it works in a raster environment, unlike Adobe Illustrator, which is Adobe’s main software to design vector art. 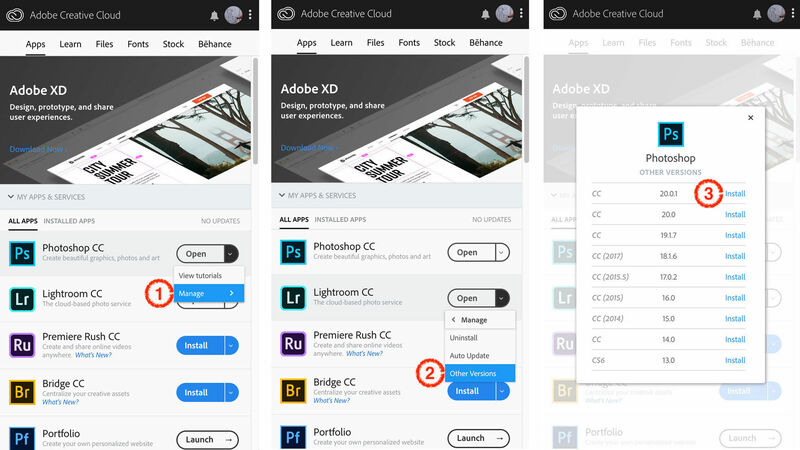 Photoshop used to be a standalone application with a new version released every year, however, in 2012 Adobe announced the end of their Creative Suite software and instead chose focusing on their Adobe Creative Cloud subscription service. Photoshop CS6 was the last version you could buy and download, and today, if you want access to tools like Photoshop and Illustrator, you'll need a subscription to get them. Photoshop has a massive number of features and tools; therefore its user interface might be overwhelming for the first-time user. 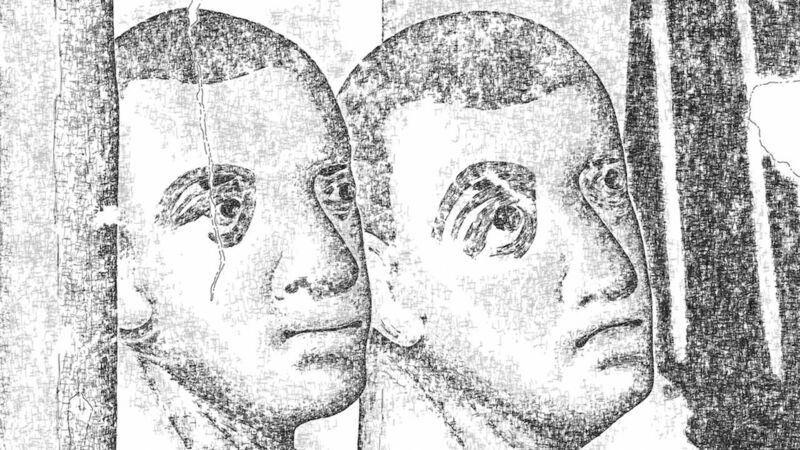 To avoid confusion, the Survey tailored and unified their artist’s workflow to a point when every drawing produced in Photoshop is created in a similar manner. 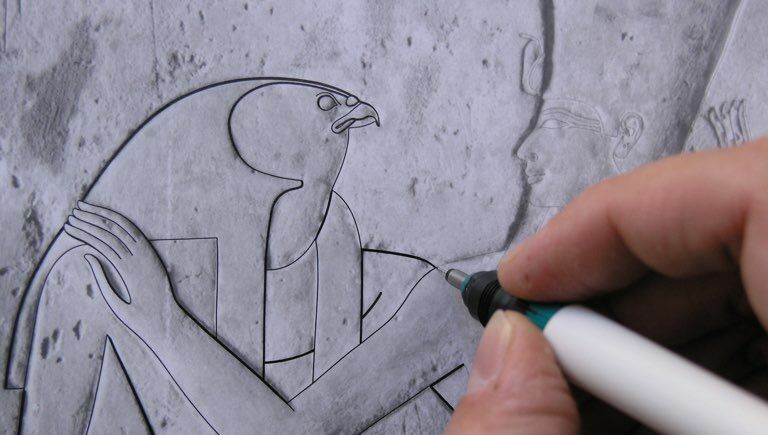 You can read more about this customization process in our Manual section. 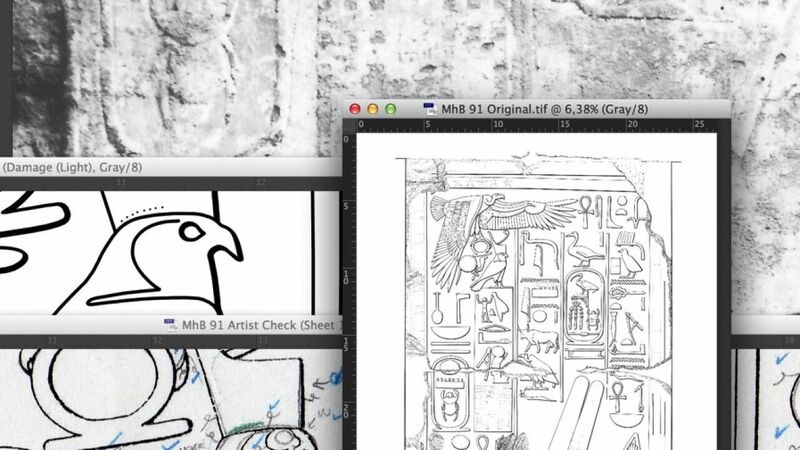 Although Photoshop seemingly hasn’t changed that much since CS6, the software isn’t just constantly refined, but has introduced several useful features over the years that we can take advantage of during our epigraphic work. 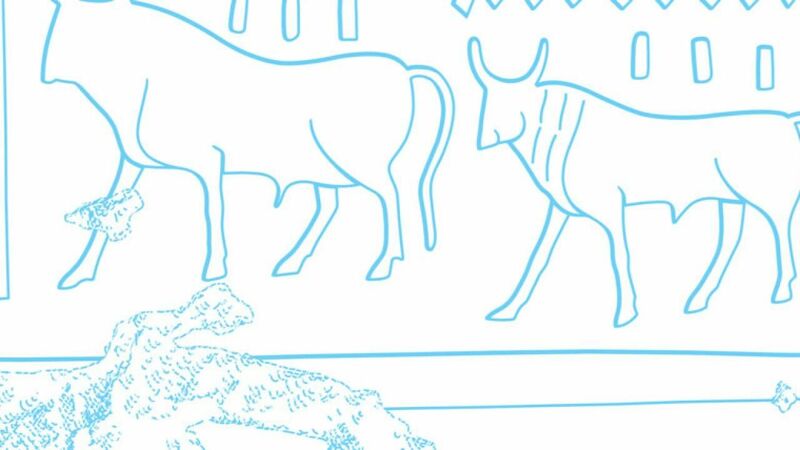 For example, there were two particularly important tools added in 2017 called Brush Stroke Smoothing and the Curvature Pen Tool, that we could utilize in our workflow in a number of ways. To be able to take advantage of these new tools, one must make sure to always have the latest version of Photoshop CC running on his/her computer. The piece of software responsible for providing you with the latest Adobe software updates, tutorials or the state of your files stored in Adobe Cloud etc. 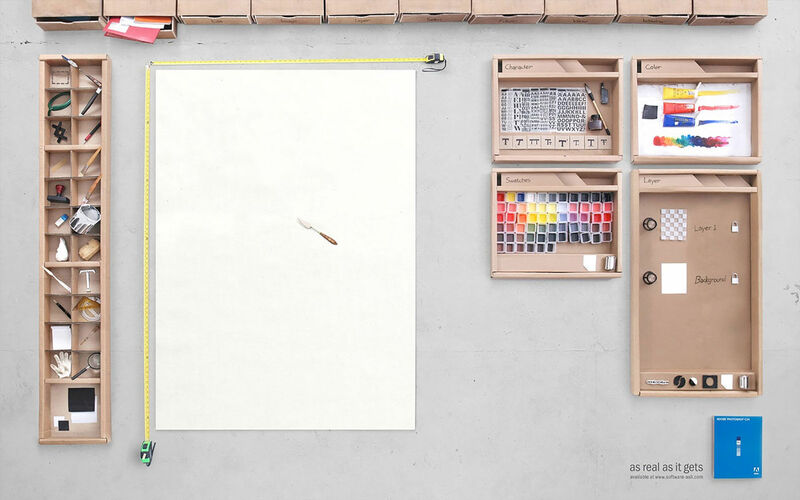 is called Creative Cloud. It is a separate program that needs to be downloaded from Adobe’s website, and, once installed, can live in your Mac’s Menu Bar, always searching for changes. Although Photoshop CC looks and acts like a single piece of software, Adobe still releases major versions every October that are differentiated by rounded version numbers and will install on your machine as a separate software. The latest major Photoshop version that was released in October 2018 is called Photoshop 20 and Adobe just released its 20.0.2 version in the time of writing. As you open Creative Cloud, you have the option to update your software to its latest version, see what is new in each iteration, or - in case something is not working properly - downgrade to a previous version. When upgraded to a major new version, Photoshop asks you if you’d like to carry your toolsets, workflow and settings over to the new version. Upon installation, the old version doesn’t get automatically deleted from your computer, which might come handy as a safety measure to see if everything works properly before fully committed to a new version. One can operate many iterations of Photoshop simultaneously on a single computer and when a version is deleted, the user can keep its settings and tool sets in case it needs to be reinstalled in the future. 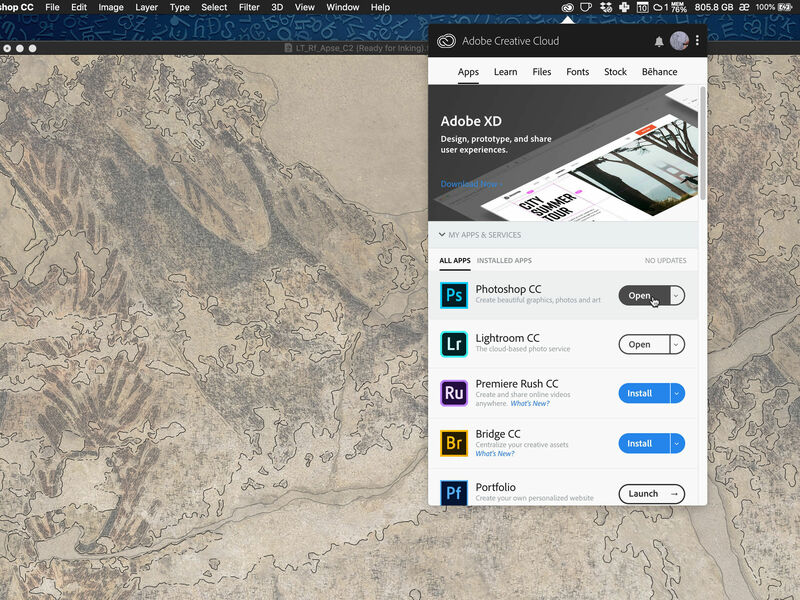 The Photoshop CC subscription can be purchased in a number of ways, the easiest of which is probably buying it directly from Adobe. If needed, one can license the Full Adobe Suit including all the different software the company produces. However, it is quite a pricy package for most of us for the $52.99 monthly fee. 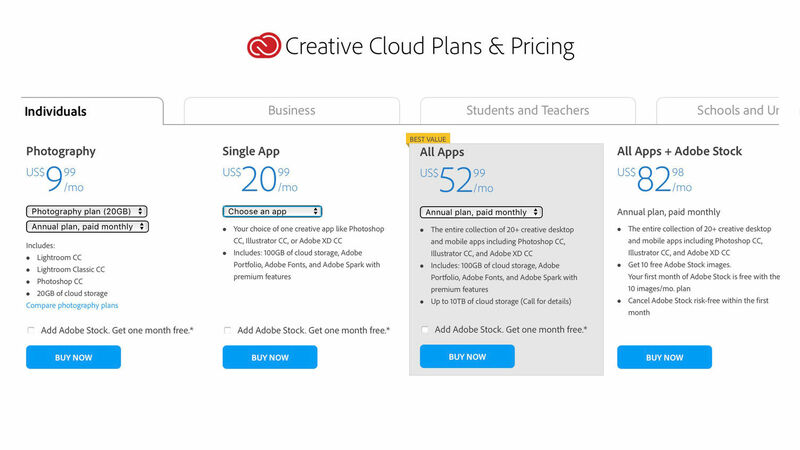 Luckily, Adobe offers a cheaper package that includes Photoshop (with photographers being the target user base) called Adobe Creative Cloud Photography Plan, that costs a more reasonable $9.99/Month. 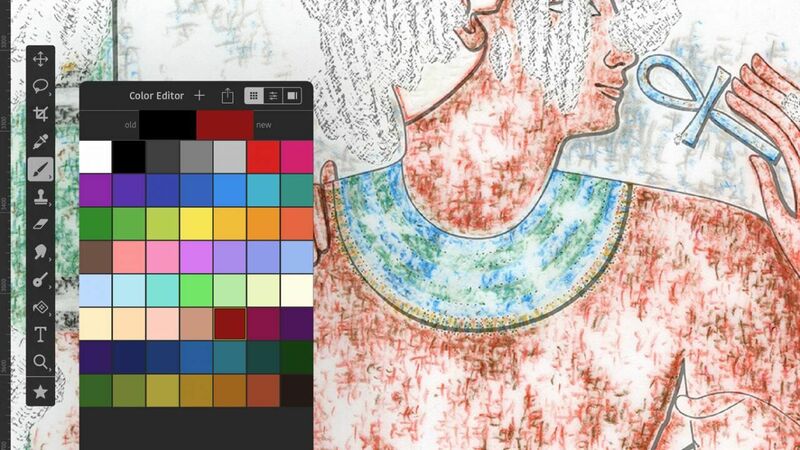 Additionally, there is the option to subscribe to a single app as well, which could be a somewhat cheaper solution for those who use both Photoshop and Illustrator in their digital documentation work. Adobe’s subscriptions can also be purchased through retailers, which might be the option to keep an eye out for additional benefits of their occasional promotions. Photoshop, just like Adobe’s other programs, comes with a free 30-day trial, but it requires you to create an Adobe account. Furthermore, if you’re a student or teacher, you can purchase Adobe’s Full Adobe Suit at a hefty 60% discount ($19.99/Month) as long as their special offer lasts. 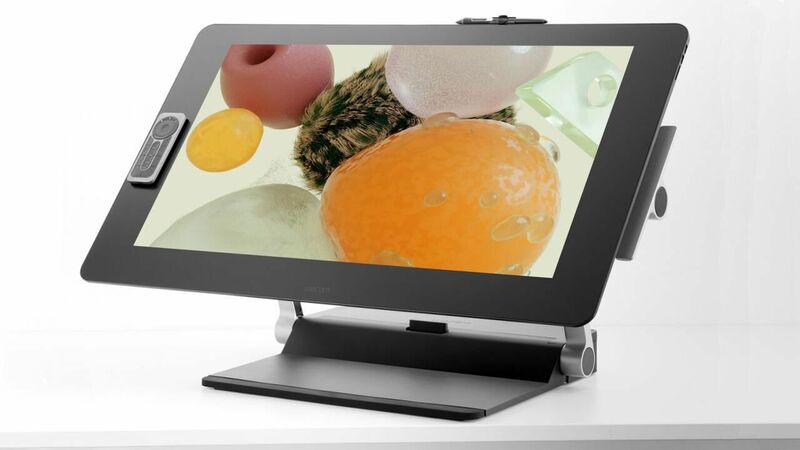 Wacom’s new Cintiq Pro tablets are great drawing displays, but they don’t provide a tremendous amount of flexibility when it comes to finding the right drawing position. 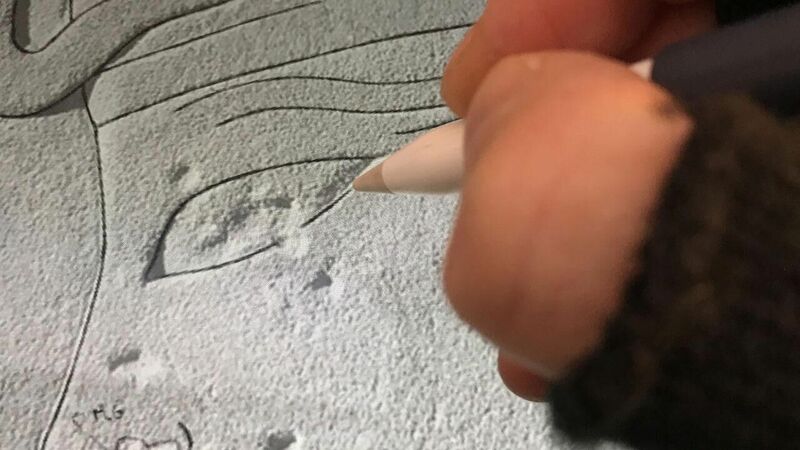 Although we at digitalEPIGRAPHY are committed to the software that works best for our field and studio drawing needs, there are instances when one needs to experiment with alternatives.